The 48 class was built by A. E. Goodwin Ltd. The first unit was in service on September 2nd, 1959. There were 165 units in the class, numbered 4801-48165. 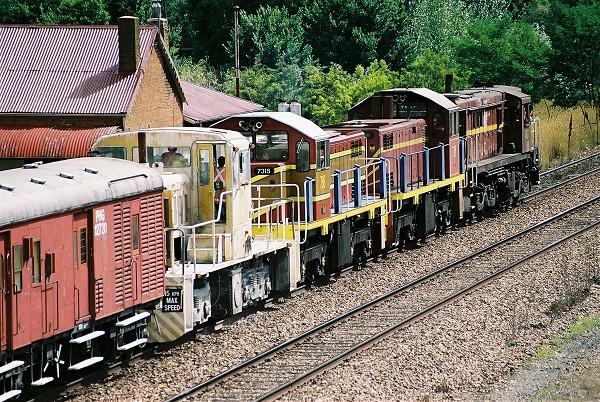 They have a 6 cylinder turbo-supercharged 4 stroke Alco 251B engine. 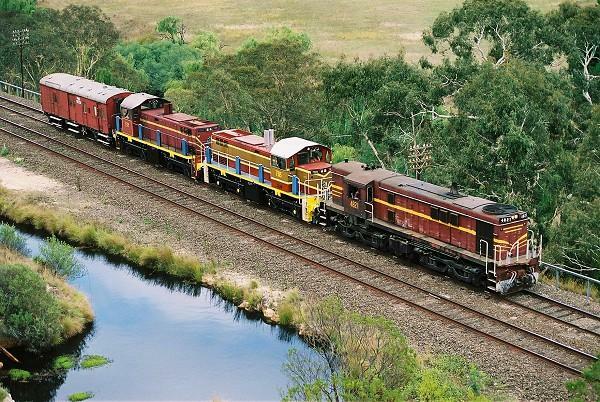 They weigh between 75 and 78 tonnes and have 950 HP available for traction. 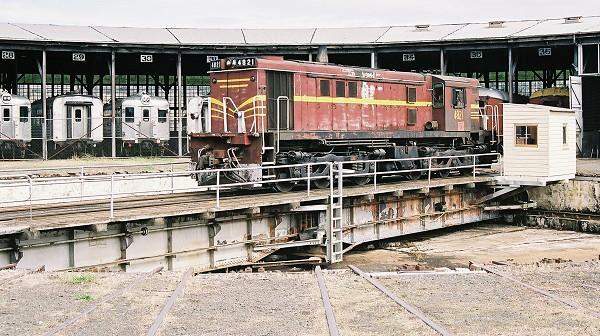 4846 & 4818 stand at Port Kembla loco in 1990. 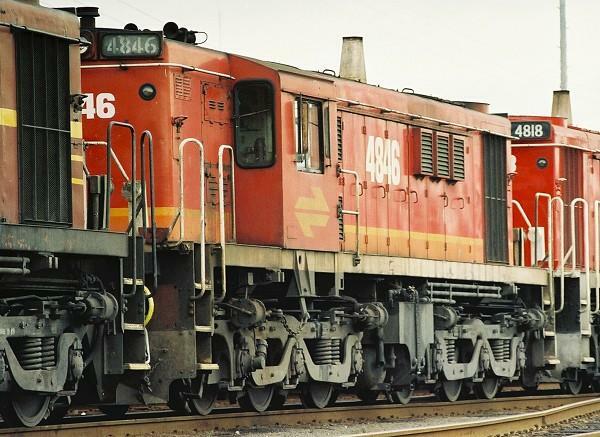 4846 had the L7 logo painted on backwards. 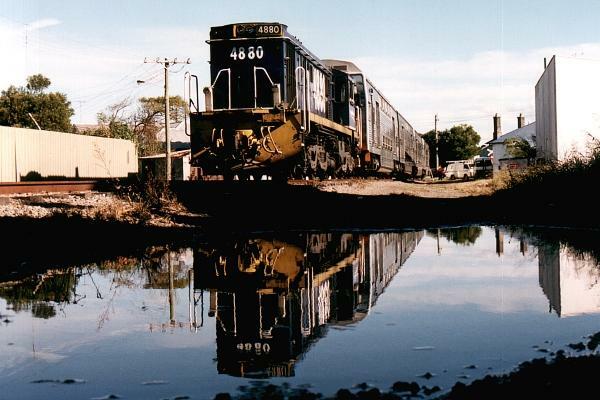 4860 leads a quad through East Maitland on an up Pelton coal train. 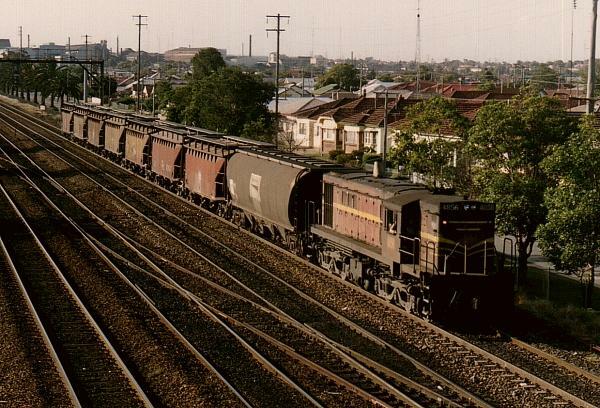 4860 leads a quad through Maitland on a down Pelton coal train. 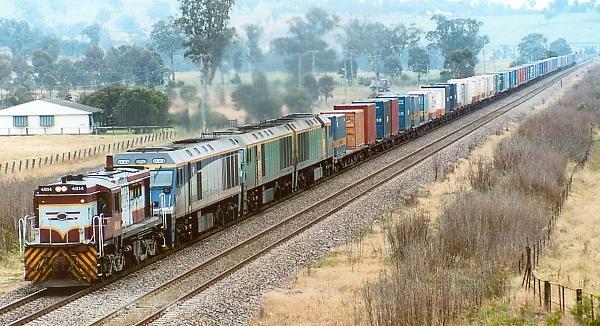 4814 leads EL63, ELxx and EL64 into Muswellbrook on 5256 freight on June 28th, 2000. 4814 leads EL63, ELxx and EL64 on 5256 freight near Antiene on June 28th, 2000. 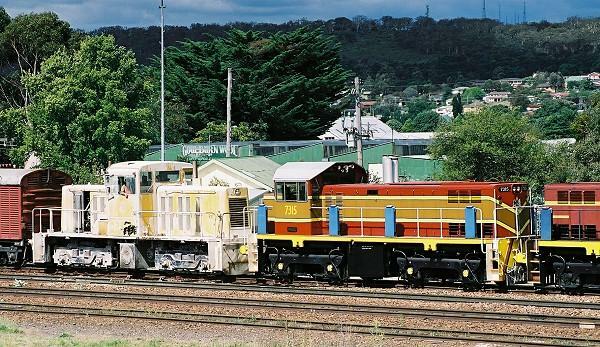 4814 leads EL63, ELxx and EL64 down the hill into Singleton on 5256 freight on June 28th, 2000. 48112 & 48165 haul WE37 into Ben Bullen on April 20th, 1991. 48165 & 48112 haul WE37 into Ulan on April 20th, 1991. 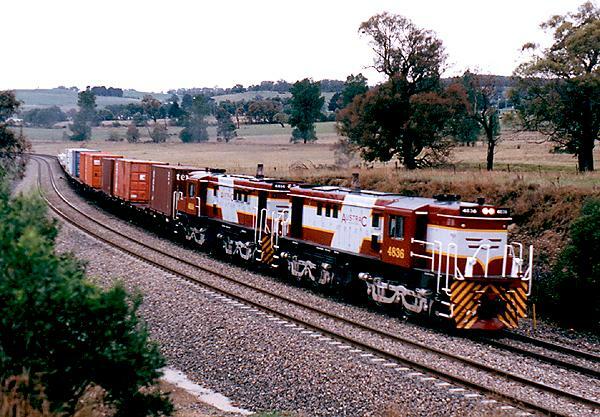 48165 & 48112 haul WE37 near Coggan Creek on April 20th, 1991. 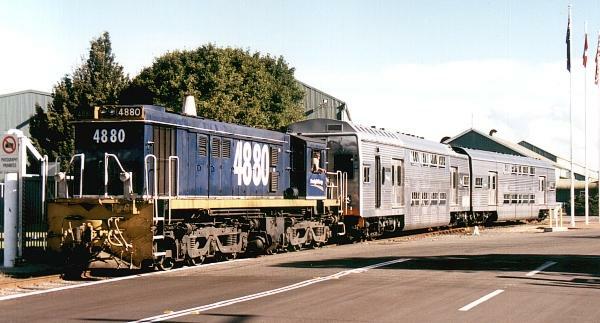 4864 takes some 620 and 900 class railcars from Wollongong, seen here at Jannali in March, 1999. 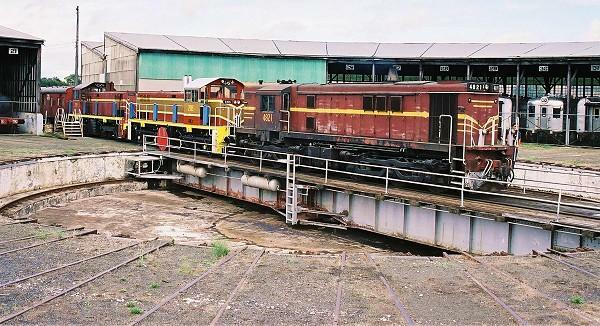 3830 and 48103 stand at Carriage Works at Redfern before moving to the Eveleigh Large Erecting Shop prior to 3830's restoration on May 15th, 1992. 48124, 48123 and 48129 lead a down ballast train through the down refuge at Waterfall. 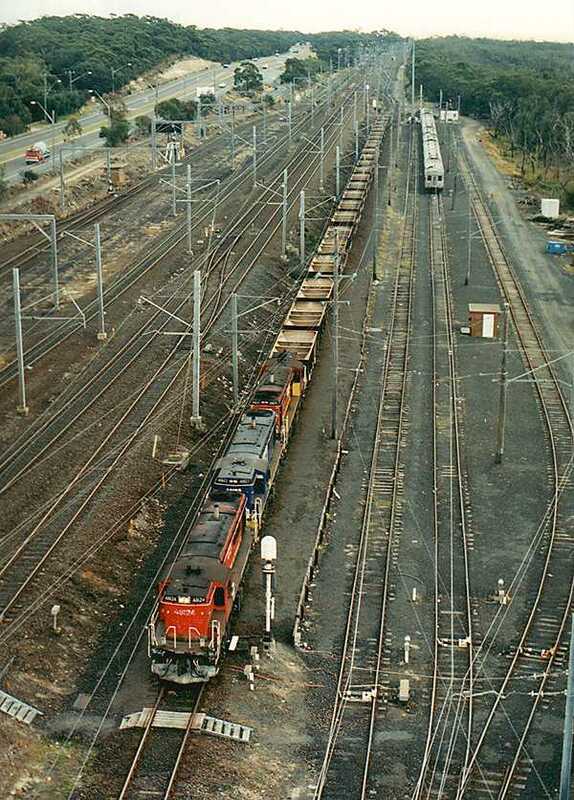 Taken from atop the 120 foot light tower at the southern end of the yard on June 27th, 1995. 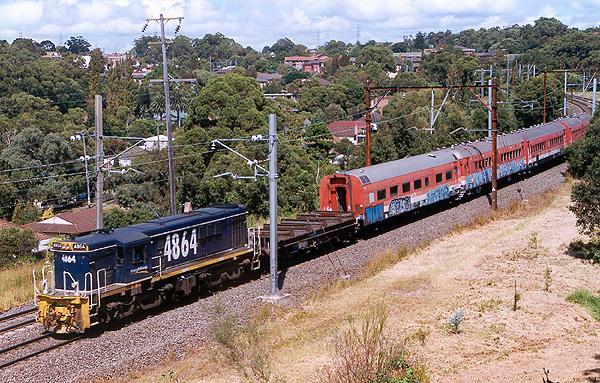 4836 & 4814 lead the Austrac Botany to Griffith Freight No. 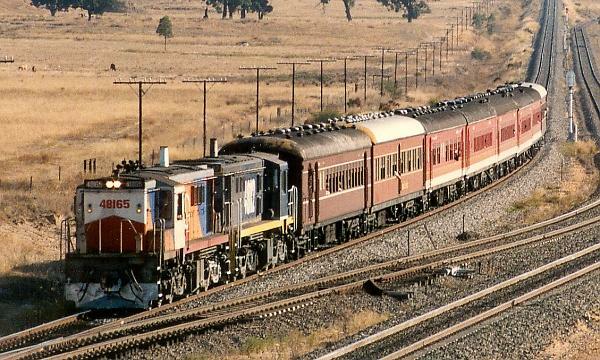 1321 around Werai curve on January 24th, 1998. 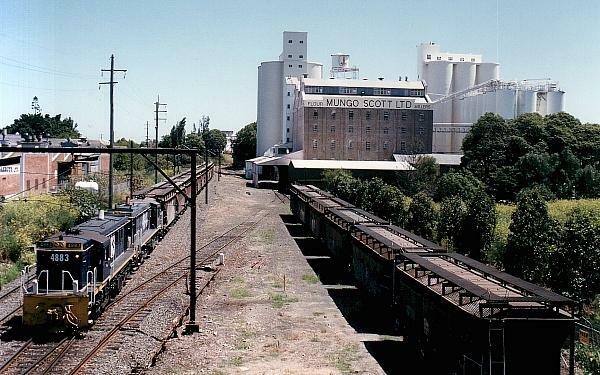 4851 hauls a string of cement hoppers through Redfern platform 2 in August, 1997. 4821 emerges from No. 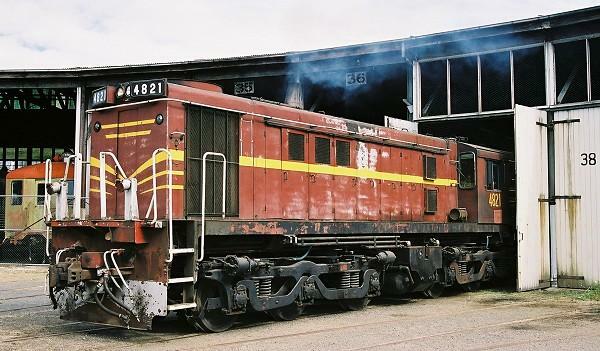 37 bay at Goulburn Roundhouse on February 9th, 2002. 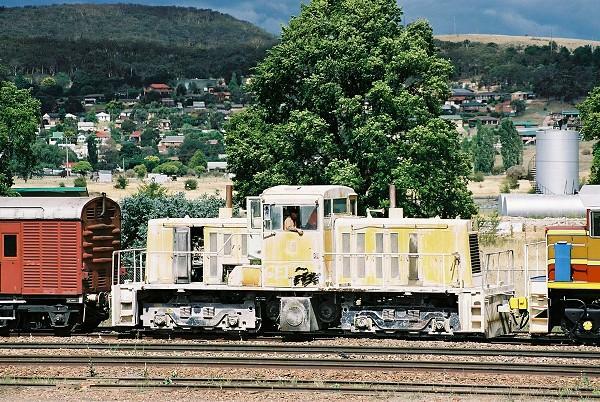 4821 moves onto the turntable at Goulburn Roundhouse on February 9th, 2002. 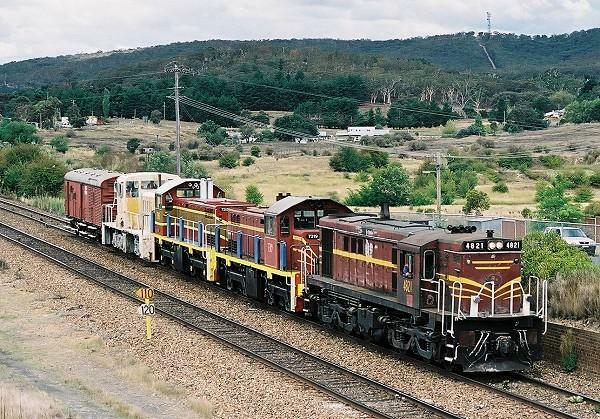 4821, 7315 & 7319 depart Goulburn Roundhouse bound for Medway Quarry on February 9th, 2002. 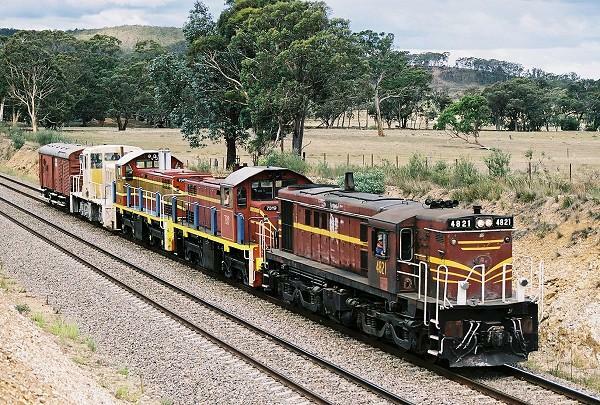 4821, 7315 & 7319 North of Goulburn bound for Medway Quarry on February 9th, 2002. 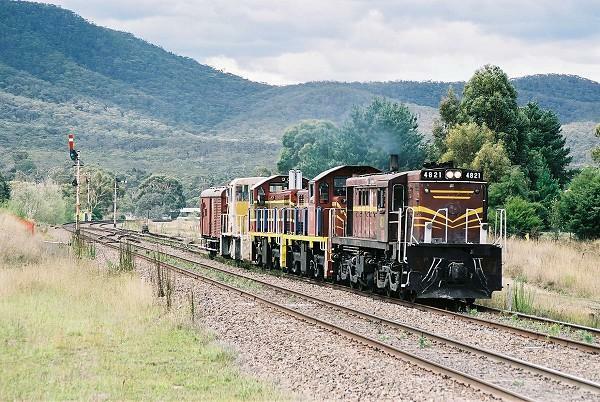 4821, 7319 & 7315 near Towrang on 2293 on February 9th, 2002. 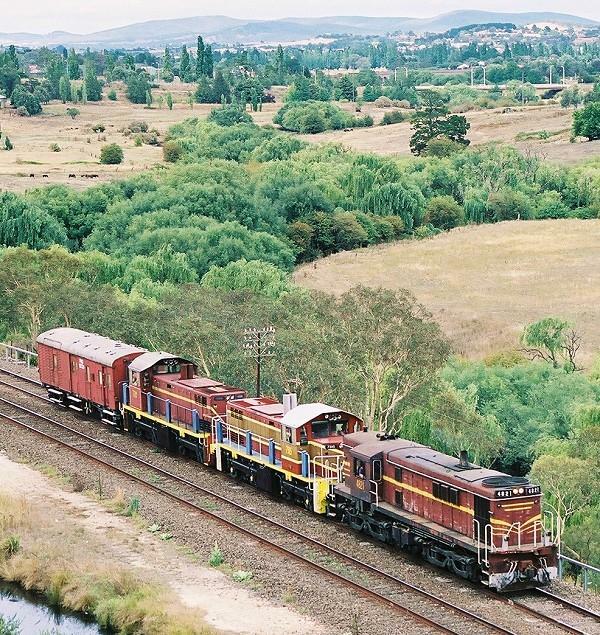 4821, 7319 & 7315 at North Goulburn on 2293 on February 9th, 2002. 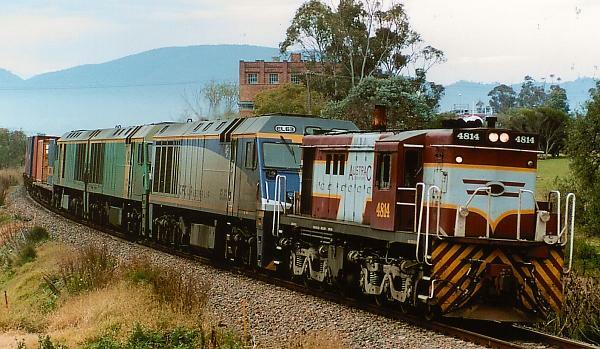 4821, 7319 & 7315 at Goulburn on 2293 on February 9th, 2002. 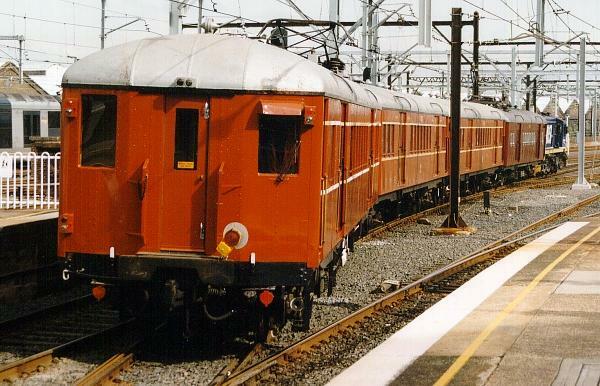 4880 shunts Double Deck Suburban Cars into Goninans at Broadmeadow on June 4th, 1997. 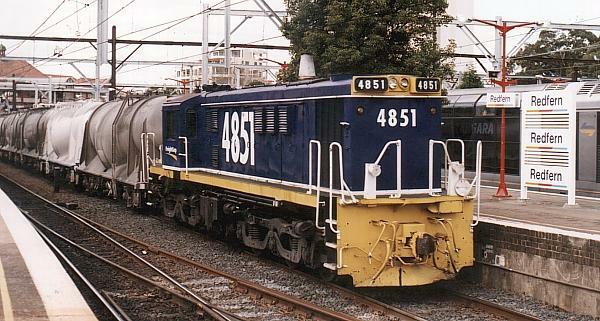 F30 is hauled by 4857 to Flemington for inspection prior to the commencement of a SETS tour on May 15th, 1997. 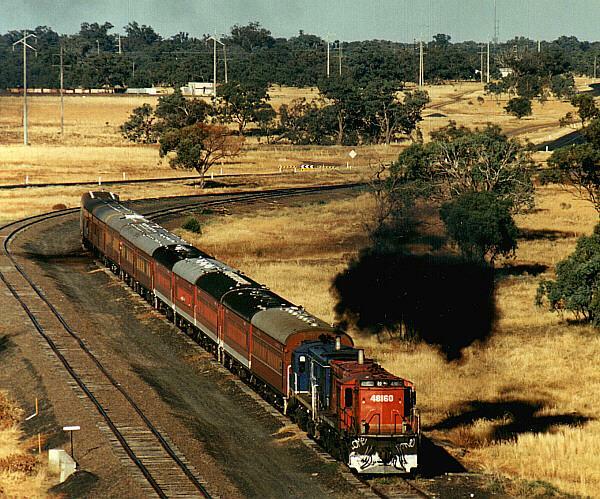 48149 leads a BHP coal train with 4865 bringing up the rear on the Redhead Branch on December 6th, 1991. 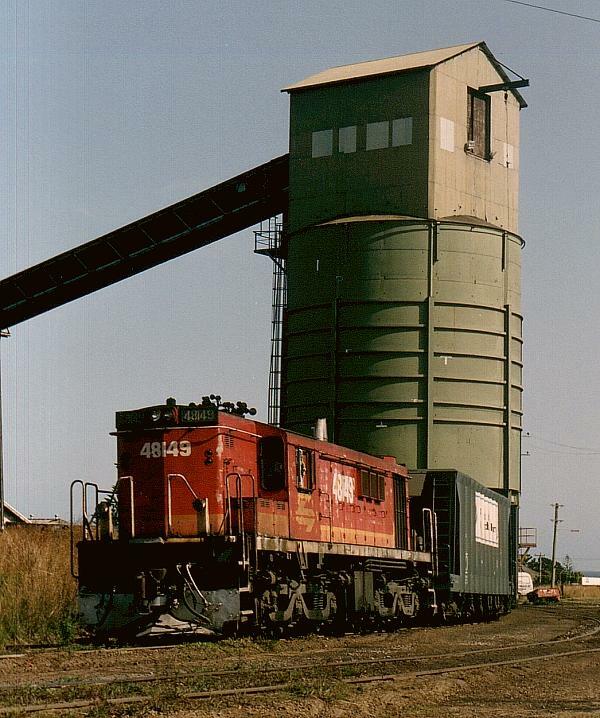 48149 leads a BHP coal train with 4865 bringing up the rear at Lambton B Colliery on December 6th, 1991. 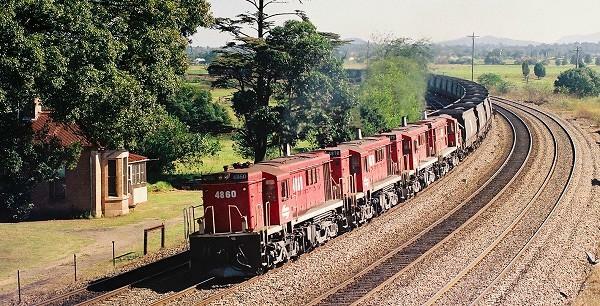 4856 leads an up wheat train at Waratah on December 6th, 1991. 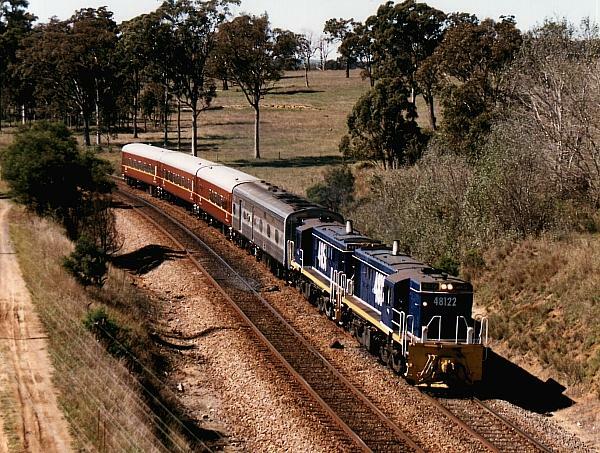 48122 & 4851 lead SL15 Sydney to Griffith passenger under the freeway at Marulan due to the failure of 42220. March 15th, 1997. 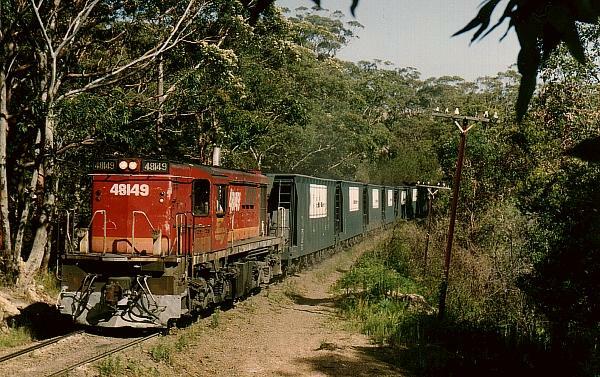 48119, 4522 and 4401 leads diverted freight 3362 into Coggan Creek on December 28th, 1991. 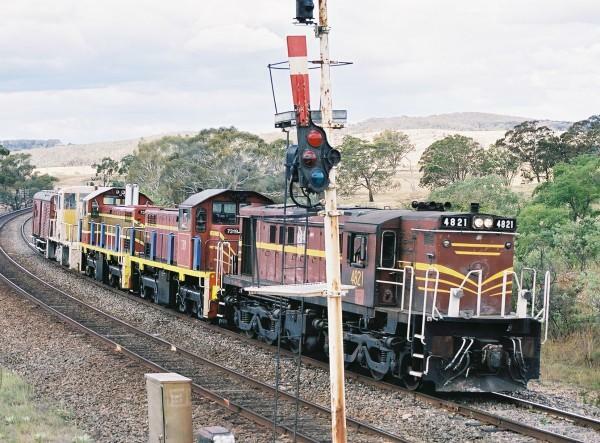 4898 and 48100 on UP Elura Ore train at Cobar station on July 22nd, 1996. 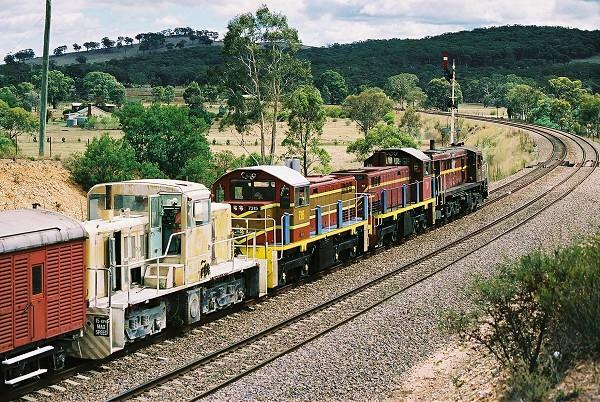 4898 and 48100 on UP Elura Ore train at Cobar down home signal on July 22nd, 1996. 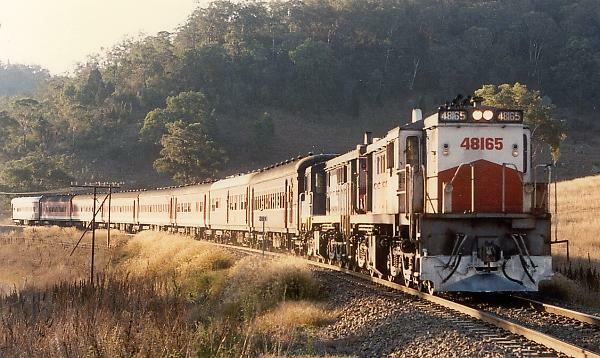 4898 and 48100 on UP Elura Ore train near Cobar on July 22nd, 1996. 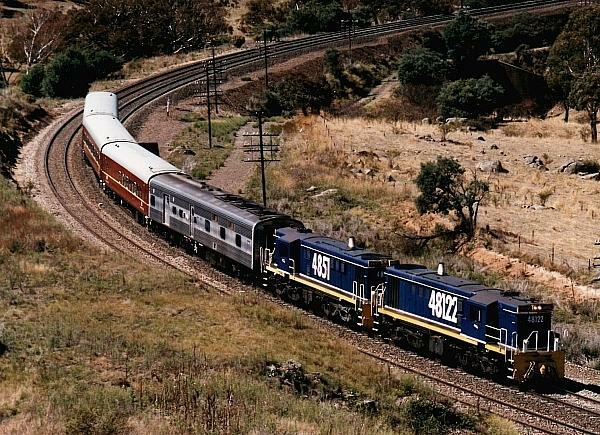 48149 and 48111 on UP Elura Ore train near Cobar on July 21st, 1996.